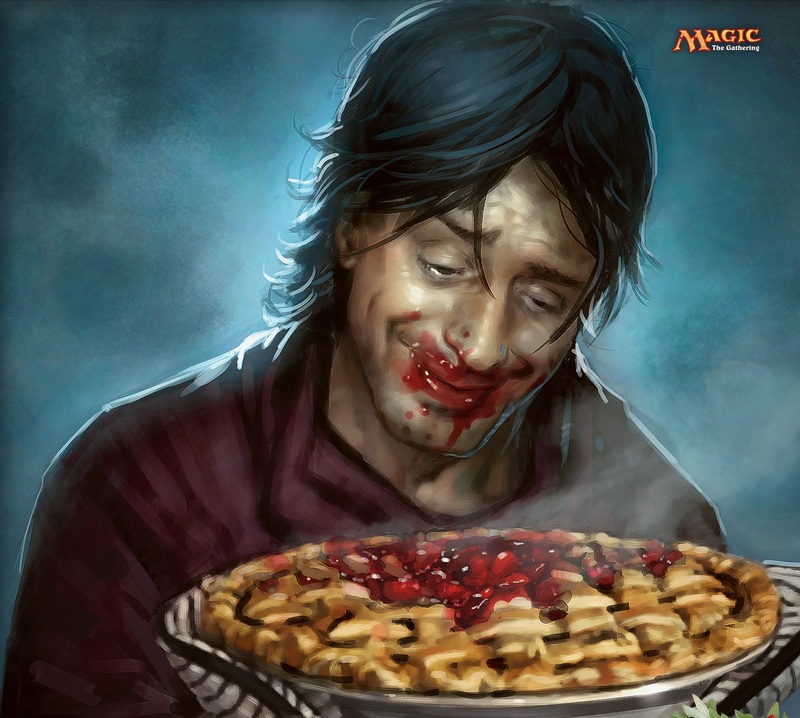 So now that Magic 2014 is out, what’s a casual player to do? Here is a tip that I’ve learned through hard experience: In most cases, buying a box to open the packs is a terrible idea. There are reasons to buy lots of packs, mainly the fun of opening 36 or more at a time, but financially, they aren’t a winner. If you want to buy a box, throw the loose packs onto your bed and roll around in them, and revel in what *could* be in those packs, then by all means do so. I may or may not have done similar things. Just don’t kid yourself about the value and the money you spent. There’s ample anecdotal evidence to suggest that you often don’t get a playset of a certain uncommon in your 36 packs, much less multiples of a certain money rare. And while most boxes have a foil rare or mythic, it’s not always true. I’ve opened such foil-rare-less boxes. We have another issue present, when you buy loose packs from Amazon or a store that doesn’t store packs in the booster display: box mapping. By calculating a print run, you can open just a few packs in a box, take the money cards, and sell the packs you know contain chaff. It’s real and it’s effective. I haven’t done it, but the math is there and the YouTube videos are certainly convincing. Look up the user MTGBoxMapper if you really want to see why you shouldn’t buy loose packs. Here are the exceptions to my policy of ‘no packs’: Sealed and Draft events. In this case, you’re paying not just for the packs, but for the tournament and the chance to win more. I like these formats more than Standard, but they are more expensive. I recognize that a lot of cards are not money cards, yet they are very good in Limited formats. I don’t mind paying for the experience of playing, especially because Standard isn’t always fun for me. My wife and I have indulged in two-person drafting as well. We buy six packs, shuffle up the cards, and engage in a two-person draft, usually with the Solomon style but sometimes wegoWinston. We can usually get two drafts out of the same six packs, but again, we are buying the experience, not the value of the cards. Everyone has a story of some amazing pack they opened. At the Magic 2013 Celebration, one of my prize packs had a Thundermaw Hellkite and a foil Jace, Memory Adept. But I’ve also opened an awful lot of bulk rares, so I try not to let the outliers affect my perception. Make no mistake: Opening a pack of Magic: the Gathering cards is a gamble in strict financial terms. You’re scratching a ticket/pulling off the packaging in hopes of something more valuable than the cost of the ticket/pack. The emotional thrill of opening packs is exactly the thrill you get from roulette or slot machines or anything that casinos make a mint off of. I know a guy who is addicted to buying $8 packs of Worldwake, because once in a while, he opens a Jace, the Mind Sculptor and it only cost him $8! What an amazingly lucky guy! Except I know that for every post he makes on Facebook showing his $150 card that cost him $8, he’s bought at least 30 other packs that cost him $240, and the other cards he’s opened don’t come close to the $90 gap. If you have to have certain cards, get them as singles. Don’t buy the packs and hope to get lucky. Be discerning, and target only what you need. Trade for it if you can, but don’t gamble your cash on packs.